Well, poopie. I have no valuable insight you haven’t read or figured out for yourself, no deep, penetrating ideas about the human condition that hasn’t already been addressed by those considerably more verbose than me. 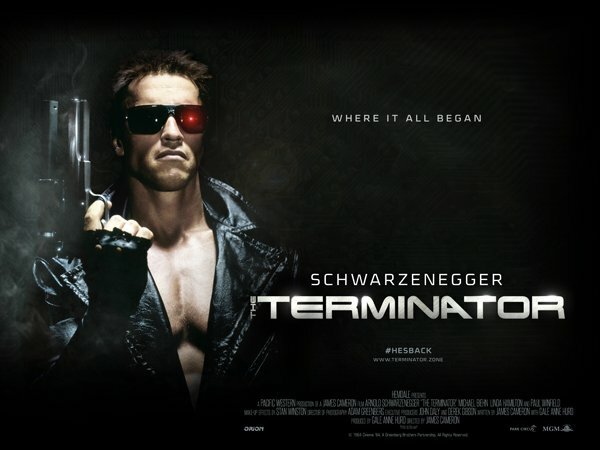 The Terminator still is and forever shall remain a landmark in genre-bending cinema (romance/noir/sci-fi/drama/action/horror) because it dares to place story, integrity and soul before aesthetics, style and bombasticity. An inspiration, a doctrine, a piece of art, a piece of entertainment, James Camerons’ first major successful film set the standard and the direction for how intelligent, challenging movies should be made with his limited budget and unlimited well of human will power. It can’t be bargained with, it can’t be reasoned with and I for one absolutely will not stop loving it. Ever. Well okay, this is still a thing.